I watched Confessions of a Prodigal Son recently, and I have to say that I really enjoyed the message it portrayed. Although this is a Christian film, I feel like there are many things about this movie to which anyone could relate. A few of those things are a parent’s unconditional love and finding your way back to faith. There was one message about this film that I really related to: finding your own journey. This film is about a kid who happens to be the son of a pastor. He goes off to college right after telling his parents that he is tired of them “Shoving God down his throat.” He has two years to prove he can live on his own without them. If he does, he can get a sum of money with which to live. In the meantime, he chooses not to call his parents at all. He meets a friend who also has her own problems but uses dance and eventually spirituality to help her cope. After hitting rock bottom, our hero has to decide if he is going to return to his parents or if he will figure things out on his own. The movie started out really good at first. He talked about the biblical story of the Prodigal Son and how he always wondered if he could go back to his parents after making so many mistakes. After a few shots of drinking and partying in college, my biggest issue with these initial scenes is that they were very one-dimensional. College is about more than drinking and partying; there are people in school who are actually there to learn. I also noticed this same one-dimensional view on people’s problems. Our main character seems to only have one problem: he does not want to be told what to do. His friend also has one problem—her dad left her when she was young. Outside of these small issues, it seems they would be happy and carefree. I get the point that was trying to be made here, but I think it would’ve been more realistic to see the characters developed a little more. Despite these small blunders, I really enjoyed the message. My favorite one was the fact that he had to go out on his own to discover how great he really had it back home. He had a loving family who loved him unconditionally, regardless of the mistakes he made in the past. I feel like this story will resonate with many Millennials who go to school and begin to question their own faith. I know I went through this phase myself as well. Once I got to college, I was just happy to be able to sleep in on Sundays. It wasn’t until after leaving school and starting my career where I found that my bible study helped me fill a void and really resonates with me today. That is one thing that I absolutely love about this story. They took an old story from the Bible, modernized it, and it is still very much relevant. So what can someone take from this? If you have taken a break from your faith, take a second look into it as an adult. You may be pleasantly surprised. If you are still figuring things out, then keep your eyes peeled for a faith that does resonate with you. Life is a journey, and sometimes the answer to what you want is already right in front of you. But you have a choice to decide what you want which is what makes life so wonderful. 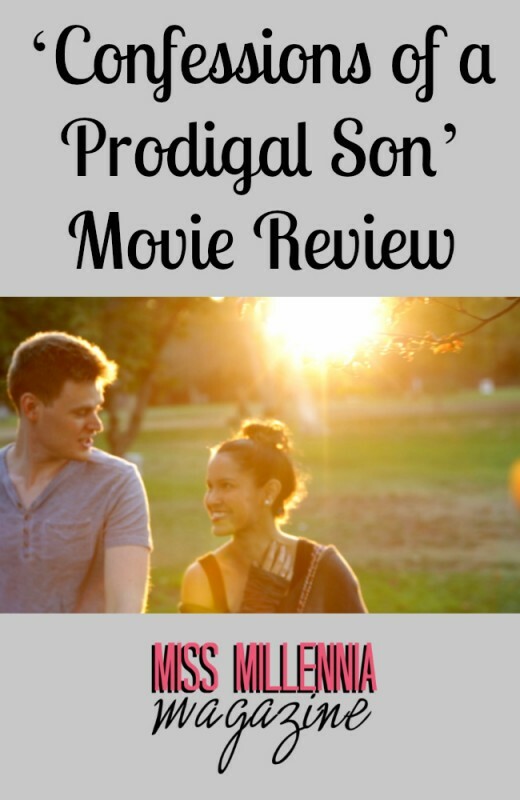 Enjoy Confessions of a Prodigal Son!